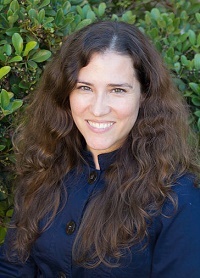 Dr. Jennifer Salcido earned her degree in Naturopathic Medicine from Bastyr University in Kenmore, Washington in 2006. After graduation she completed a clinical residency with the world renowned Dr. Dietrich Klinghardt, MD, PhD who was voted integrative physician of the year in 2007. Following her residency Dr. Salcido moved to California and continued to work with progessive medical doctors Dr. Shivinder Deol, MD at the Anti-Aging and Wellness Center and Dr. Scott Saunders, MD at the Integrative Medicine Center of Santa Barbara. Dr. Salcido uses orthomolecular medicine, bio-identical hormones, nutrition, counseling, detoxification, herbal medicine, homeopathy, and more. She treats patients with a wide range of health conditions and has special interests and expertise in women’s health, detoxification, autism, pediatrics and wellness therapies. Santa Barbara Integrative Medicine was started in March 2016 by Dr. Jennifer Salcido, ND and is part of Santa Barbara Wellness Professionals. Dr. Salcido is a licensed health care provider who will work with you to create a plan to improve your health that takes into account your needs, lifestyle, and goals. She focuses on holistic healthcare for all ages using naturopathic principles of finding the cause, treating the whole person, and nature as healer to name a few. Dr. Salcido integrates naturopathic medicine with other forms of traditional medicine and standard Western medicine as appropriate. Dr. Salcido can order labwork and imaging studies as well as prescription and custom medication if needed. At Santa Barbara Integrative Medicine Dr. Salcido uses standard medical testing as well as specialized tests that go beyond what standard medical care offers. When standard medical testing shows normal results despite illness Dr. Salcido often finds specialized tests shed light and provide information that is crucial. Dr. Salcido limits the number of patients she sees and makes sure to give ample time to each patient to ensure the best care. Dr. Salcido offers extended appointments if you need extra time because your health matters. Allergy Testing - In addition to causing gastrointestinal distress food allergies and intolerances can lead to numerous health issues such as headaches, rashes, joint pain, shortness of breath, and many more. These delayed reactions to foods are not detected on standard allergy tests. Neurotransmitter Support - Anxiety, depression, insomnia, learning and memory disorders can all be traced to imbalanced neurotransmitters. Luckily we can measure and optimize these neurotransmitters using natural therapies for improved mood, sleep, motivation, and memory. Detoxification - We are exposed to an ever increasing amount of toxins that can impair the function of our organs and glands at the cellular level. Detoxification if often necessary to treat and prevent illness. Dr. Salcido can help you create a personalized detox program to improve your health and vitality. Hormone Balancing - Hormones have profound effects not only on our physical body but also on the mind and emotions. Dr. Salcido uses the most accurate testing to determine what your body needs. She will work with you to determine the best route to optimal hormone balance. Nutritional Analysis - Our bodies need balanced amounts of nutrients to function optimally. Utilizing thorough testing, history, and physical exam Dr. Salcido can help you determine what nutrients you are deficient in and the best way to correct those deficiencies so you feel great.